4 1/2 inch stroke leineweber L3 cam shovel intake valves pan ex. 1937 knuckle camcover. Frame: 1949 panhead chromed in the 60s. Wheels: 1943 starhub and rim 18 inch rear. Stepped starhub and 21 inch rim front. Gastank: swedish Fram moped gastank. Frontlight: 1964 Pontiac grand prix foglight. Built with old chrome parts collected over 4 years. 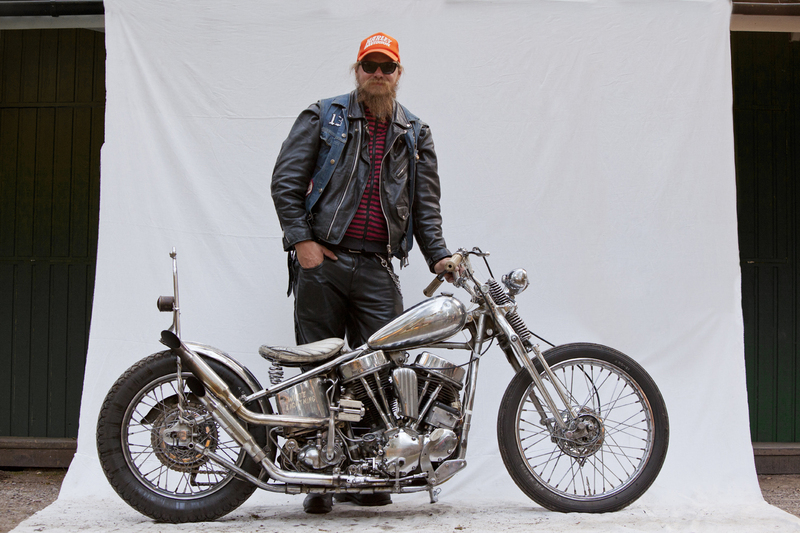 A tribute to all the mid 60s show choppers. When chrome was cheap.